Barb Goshorn, RN, MSACN, has cared about nutrition her entire life. So much so that at age 47--already a registered nurse by that point--she went back to school to earn her Master's in Applied Clinical Nutrition. Now, with over 33 years of total experience, Barb brings her expertise and caring professionalism to her community, proudly serving as Rochester and Webster's only "nurse nutritionist." Barb provides a wide range of customized and comprehensive services that empower her patients to live in a more health-conscious, optimally expressed way. She believes that healthy eating isn't just about reading labels, cooking your own food, and avoiding toxins (though these are all huge components!). As your Rochester and Webster nutritionist, Barb truly believes that healthy eating is a way of life. Weight loss: The old standard model of "eat less, exercise more" is far too simplistic for helping people achieve a healthy weight loss. Maintaining a healthy weight requires that you focus on quality of food (including good sources of protein, fat, carbohydrates, and essential nutrients) as much as, if not more than, quantity of food. Metabolic syndrome, PCOS, insulin resistance, and type 2 diabetes: Hundreds of Barb's patients are living life with diabetes and other insulin-related problems, which can have a severe impact on every major aspect of your health. Using simple and safe practices based in sound science, Barb can help you better manage your disease, control your blood sugar levels, and even prevent you from developing metabolic syndrome or diabetes if you're known to be "at risk." GERD: Gastroesophageal reflux disease, also known as heartburn, is an uncomfortable condition caused by stomach bile flowing into your food pipe and irritating the delicate lining. Instead of focusing on medications--many of which cause harmful and uncomfortable side effects of their own--Barb helps people find symptom relief by improving their food choices first. Leaky gut: The fancy term is "intestinal hyperpermeability" and is thought to be a type of autoimmune disease that causes certain substances to get into your bloodstream that normally shouldn't. Chronic stress, poor nutrition, and other factors can weaken the strength of your intestinal walls. Barb educates her patients on ways to improve their gut health and thus maximize their overall well-being. Inflammation: Virtually every major health problem is related in at least one way to inflammation, which is a huge stressor on the body. Barb helps her patients reverse disease and achieve total wellness by eliminating foods that are known to be pro-inflammatory. Detoxification: The food we eat, the products we use, and the environment we live in all can potentially expose us to toxins, chemicals, and other potentially harmful substances that can cause oxidation, inflammation, and other problems in our body. Barb focuses on balancing and improving the quality of your diet in order to support your liver and other important detoxifying organs so that your body is better at naturally cleansing itself of toxins. Nutrient depletion related to medications: Chronic use of many medications (prescribed or over-the-counter) can deplete your body of critical vitamins, minerals, and other essential elements that are vital to health. Barb can help you correct these deficiencies by focusing on the nutrient density and overall quality of your food. Body composition testing: It's not just about "weight" loss, per se. Building a better, healthier, more active body is really about "fat loss." Using simple and advanced technology, Barb can help you learn what your current body fat vs. lean body mass percentages, understand the difference between the two, and set and achieve goals to improve your overall composition--and body confidence. Food allergies and sensitivities: If you know that you're allergic or highly sensitive to a certain food, Barb can help you find practical ways avoid the allergen without limiting your freedom in food choices. No matter what your current health status is, Barb takes the all the time needed to help you develop a clear picture of your health goals. She uses a variety of techniques to help diagnose and detect any underlying health problems you may be dealing with. Then, relying on a thorough understanding of the science and psychology of healthy eating, Barb can create and implement a fully individualized treatment plan to get you on the road to success, while offering you caring guidance and helpful accountability along the way. 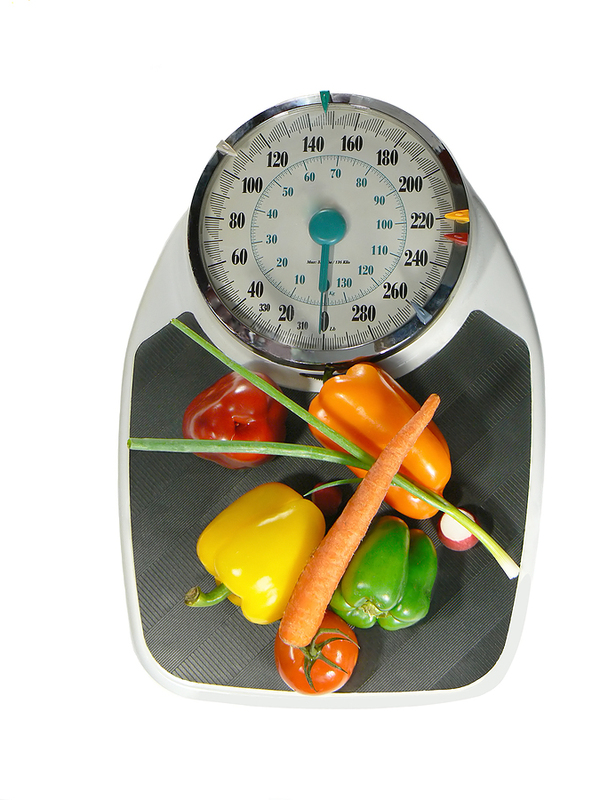 Are You Looking For Help With Nutrition Improvement Or Weight Loss In Rochester? Don't just survive--thrive! Known as the area's only "nurse nutritionist," Rochester and Webster nutritionist Barb Goshorn helps thousands of people just live fulfilling lives through the implementation of healthy eating habits and nutrition counseling. Whether you're looking to begin a weight loss journey, relieve yourself of chronic aches and pains, or simply become a more optimized version of yourself, Barb can help. To schedule a consultation with Barb or to learn about our other health-promoting and natural services, including chiropractic care and acupuncture, call (585) 671-0934 today! Be sure to ask about her current special: that's a comprehensive bioimpedence analysis and weight loss consultation for just $29.